If you want to stop smoking? I can help. I'm Neil Pickering and I specialise in hypnotherapy to stop smoking. I use a special method that combines hypnotherapy and Neuro Linguistic Programming (NLP). 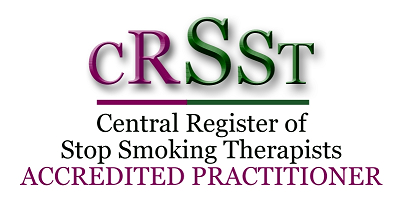 Hypnotherapy had been shown to have the highest success rate for smoking cessation - more effective than nicotine gum or nicotine patches. So, provided you are determined and motivated to stop smoking, you have a very high chance of stopping smoking in just one session and becoming a non-smoker. 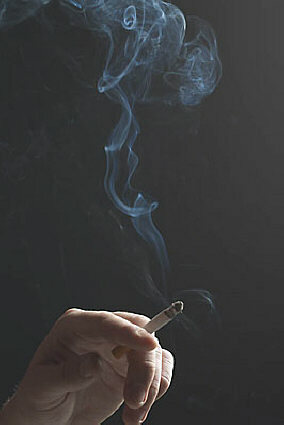 During hypnotherapy I will help you break the habit of smoking. I help you break the connections with smoking, whether they are emotional (such as stress or boredom) or physical (such as after a meal or with a drink) and help you feel great about saying “no” to cigarettes and tobacco. can help you give up smoking easily and effortlessly. For those of you who have tried stopping smoking just using willpower, quitting smoking may have been difficult. However the powerful hypnosis techniques can help you achieve your goal. What's the difference between this method and that used by other hypnotherapists? I use is a unique combination of hypnotherapy and NLP. Many hypnotherapists use only suggestion hypnosis in treating clients. Although suggestion hypnosis by itself has a reported success rate of 30%, which is still higher than nicotine replacement products, combining hypnotherapy and NLP substantially increases the effectiveness of the session. You could add years to your life by living a healthier, smoking free lifestyle. You could save several thousand pounds a year by quitting smoking. After just 20 minutes your blood pressure and pulse return to normal. After 8 hours levels of nicotine and carbon monoxide in your system will have halved. After 24 hours your system will be nicotine free and carbon monoxide levels will be normal. After 3 days your breathing becomes easier as the bronchial tubes begin to normalise. In the long term stopping smoking reduces the risk of lung and other cancers, heart attack, stroke and chronic lung disease. After 5 to 15 years the levels of risk return to that of a non-smoker. b) give you powerful suggestions in hypnosis that there will be no increase in your appetite on becoming a non-smoker. This allows you to become a non-smoker without gaining weight. I am one of only a handful of hypnotherapists in the UK offering one year's free support.The client can, in the unlikely event of starting to somke again with one year of the session, book a follow up session free of charge.